The Rhesus blood group system is of clinical interest because it is involved in the pathogenesis of hemolytic disease of the newborn, hemolytic transfusion reactions, and some autoimmune hemolytic anemias. More than 48 different antigens have been serologically defined, making the Rh system the most polymorphic of all the erythrocyte blood group systems. There are five most frequently typed Rh antigens: C/c, E/e, and the D antigen, which is the most immunogenic, defining an individual as RhD-positive or RhD-negative. Classical hemagglutina-tion used for Rh typing is still a powerful and practical technique, with specificity and sensitivity suitable for clinical applications, but has limitations. Molecular genotyp-ing techniques such as polymerase chain reaction (PCR) can be used to overcome some of these limitations and, in addition, to improve the current level of resolution. The RH locus is composed of two homologous genes denoted RHD and RHCE. Caucasian RhD-positive individuals have either one or two RHD genes per cell, whereas the RhD-negative phenotype is caused by the absence of the entire—or at least part of the—RHD gene (Fig. 1). 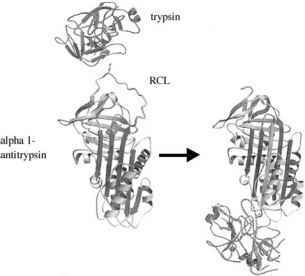 The RHD gene encodes the RhD protein that expresses the epitopes of the D antigen. The RHCE gene has four prevalent allelic forms: RHCe, Rhce, RhcE, and RHCE, and each allele determines the expression of two antigens in Ce, ce, cE, or CE combination carried by the RhCcEe protein (RHCE is the collective name of the four alleles).